We respect the EU’s General Data Protection Regulations (GDPR) and this policy explains how we collect and treat any information you give us. Our desire is to explain in easy terms our policy so you understand what you are agreeing to. Revive Our Hearts is committed to your privacy. We appreciate that you’ve trusted us with personal information, and we treat it as if it were our own. By this we mean that Revive Our Hearts does not sell, rent, lease, or give away personal information such as your email address, phone number, name, home address, etc. Your information will only be used for internal Revive Our Hearts’ purposes. By giving us your email address, you have given us permission to send you emails periodically unless you specifically request otherwise. In order to use certain sections of this website, you must first complete the registration form. During registration you are required to give your name and email address to receive the services you have requested. You have the option to provide more demographic information. We use this to provide a more personalized experience on our site. When ordering a product, you must provide your name and shipping address and financial information (like credit card number & expiration date) and an optional phone number. This information is used for billing purposes and to fulfill your order. If we have trouble processing an order, this contact information is used to get in touch with you. If you sign up for an email newsletter, we collect your name and email address. If you choose to participate in a survey, you have a choice whether or not to disclose contact information, such as: name, address, zip code, age level. If you refer a friend to our site, we ask for the friend’s name and email address. Revive Our Hearts will automatically send the friend a one-time email inviting them to visit the site. Revive Our Hearts does not store this information. All purchases are processed securely by Stripe or Authorize.net. When you contact us by email or through our website, we store your your information in our Customer Relationship Management (CRM) software, MPX. If you sign up for a email newsletter, we store your email address in Mailchimp, which is the marketing platform we use. When you buy something, your information is stored in Shopify and Studio Enterprise. And if we do business, we store your information in our accounting software, MIP. We chose these systems partly for their commitment to security. We use SSL encryption to protect all sensitive information online. We also do everything in our power to protect user-information offline. All of our users’ information, not just the sensitive information mentioned above, is restricted in our offices. Only people who need the information to perform a specific job (for example, our billing clerk or a customer service representative) are granted access to personally identifiable information. Furthermore, all employees are kept up-to-date on our security and privacy practices. Anytime new policies are added, our employees are notified and/or reminded about the importance we place on privacy, and what they can do to ensure our customers’ information is protected. Finally, the servers that store personally identifiable information are kept in a secure environment, behind a locked cage. Revive Our Hearts is the sole owner of the information collected on this site. We do not sell, share, or rent this information to others in ways different from what is disclosed in this statement. We send all new members a welcome email to verify username and password. Established members will occasionally receive information on products, services, special deals, and a newsletter. Out of respect for the privacy of our users we present the option to not receive these types of communications. We use IP addresses to analyze trends, administer the site, track user’s movement, and gather broad demographic information for aggregate use. When we store information in our own systems, only the people who need it have access. Our management team has access to everything you’ve provided, but individual employees have access to only what they need to do their job. We may share aggregated demographic information with our partners. We partner with another party to provide specific services. If you sign up for these services, we may share names, or other contact information that is necessary for the third party to provide these services. These parties are not allowed to use personally identifiable information except for the purpose of providing these services. This website contains links to other sites. Please be aware that Revive Our Hearts is not responsible for the privacy practices of these sites. We encourage you to be aware when you leave our site and to read the privacy statements of each and every website that collects personally identifiable information. This privacy statement applies solely to information collected by Revive Our Hearts. If your information changes, or if you no longer desire our services, we will endeavor to provide a way to correct, update, or remove your personal data. This can usually be done at the member information page or by emailing our Customer Support at info@ReviveOurHearts.com, or calling 1–800–569–5959. Revive Our Hearts is a member of the Evangelical Council for Financial Accountability (ECFA). ECFA’s purpose is to help Christ-centered evangelical nonprofit organizations earn the public’s trust through their ethical practices and financial accountability. 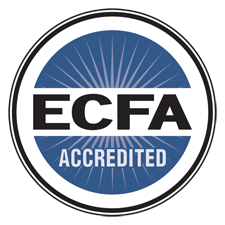 The ECFA seal is tangible evidence to donors that ECFA member organizations adhere to the highest standards of financial integrity and Christian ethics.